October 4th marked the 45th anniversary of Janis Joplin’s death. One of music’s most unique and powerful vocalists, Janis has become a legend, known for her raspy, gritty, soulful, and sonorous sound; as well as her tragic death from a drug overdose at the age of 27. Janis both lived and sang about the endless search for true love, the pain of loneliness, and the desire to face life with determination and courage. And while she sadly succumbed to addiction, like many artists of her time, Janis left us with a treasure-trove of songs that in turn inspire, lull, and soothe us. Originally published just three years after Joplin’s death, Buried Alive has gone through several editions. 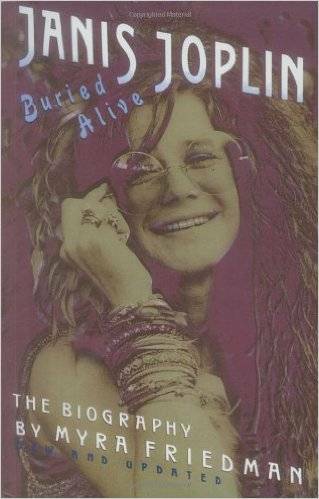 Comprehensive and wide-ranging, it situates Joplin in terms of her family history and the turbulent era of the 1960s. Friedman charts the singer’s rise to fame from Port Arthur, Texas to Haight-Ashbury and everything in between. 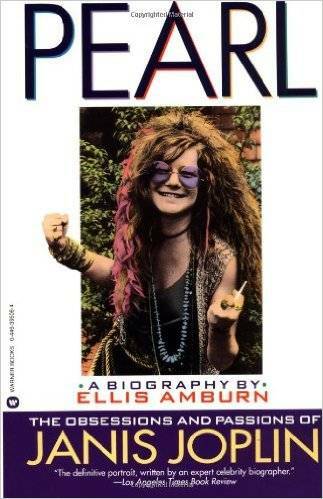 The latest edition (1992) includes more information about her colleagues and contemporaries, as well as fond anecdotes about Joplin written by various close friends. One can only imagine what it must have been like to be the younger sibling of Janis Joplin. In Love, Janis, however, we can come close. Here, Laura Joplin adds to the well-known narrative of Janis’s stardom with a series of never-before-seen letters to her family back in Texas. 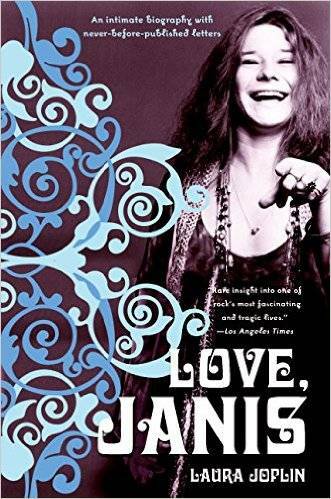 The back cover copy of this biography reads, in part, “Nobody sang the blues hotter, lived the 60s wilder, or rocked harder than Janis Joplin.” Not surprising, given the tendency many have to use as many superlatives as possible to capture her impact and personality. Amburn offers us a well-researched life of Janis Joplin, but ultimately we must remember that she was human and has been turned by us into a legend. I got this biography from my university library back when I was a new grad student and desperate to read something that wasn’t for class or a reading group. I’d always wanted to learn more about Joplin, and this is a good place to start. Echols discusses Joplin’s life as well as her musical influences and the ways in which living on the edge was a part of 1960s counterculture. 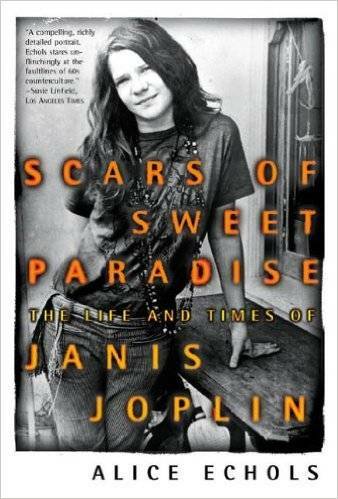 I also appreciate that the cover photo, unlike most photos we see of Joplin, shows her just being herself. 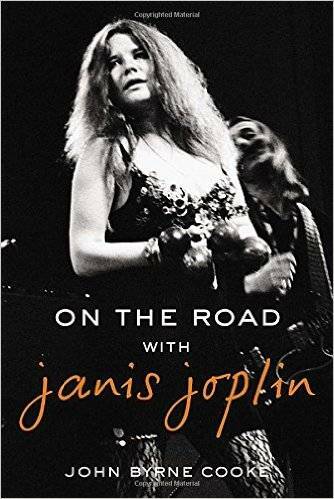 I recently heard an interview with John Byrne Cooke on NPR about On the Road With Janis Joplin and the biography sounds promising. Whereas Laura Joplin offers us insights into Janis’s homelife and upbringing, Cooke takes us into the singer’s whirlwind lifestyle as a performer and star. Cooke was at the Monterey Pop Festival in 1967, where Janis made a major hit, and later became the road manager for Janis and Big Brother and the Holding Company. When Janis joined Kosmic Blues, and then Full Tilt Boogie, Cooke was there. He was also the one who discovered her after her overdose. Personal photographs included in the book give us a broader view of Janis’s life and times. What's Your Best Library Book Sale Find?